all young people under the age of 17 are required to attend full-time schooling, training or work for at least 25 hours per week. international students who wish to study and live in South Australia can attend public schools. 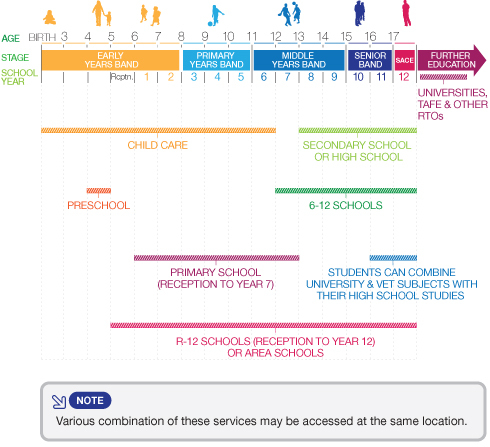 years 1 and 2 of primary school - usually children between 6 and 7 years of age. years 8 and 9 of high school. go on to other education and training options or work. Considering a career in education?